Don’t you just LOVE when you find a new simple and healthy recipe that the whole family loves too??? I do! I do! Will you let me know if you try it and what your honest opinion is? 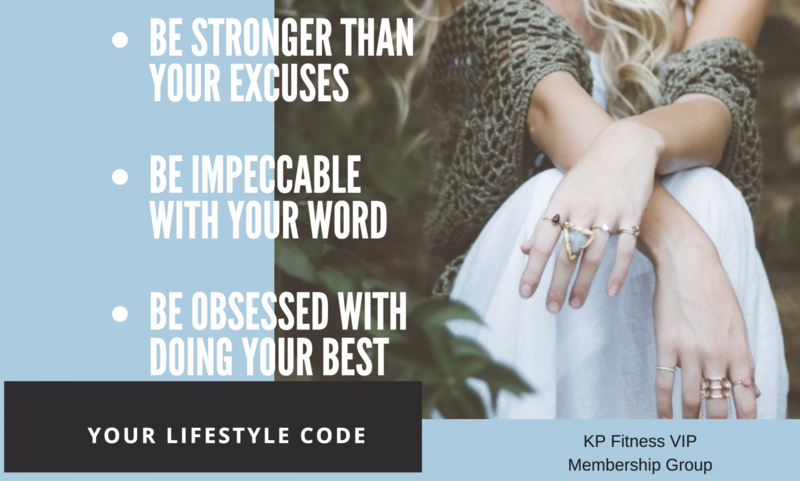 I’ll be sharing more of these awesome nuggets so we can all succeed together; once and for all! 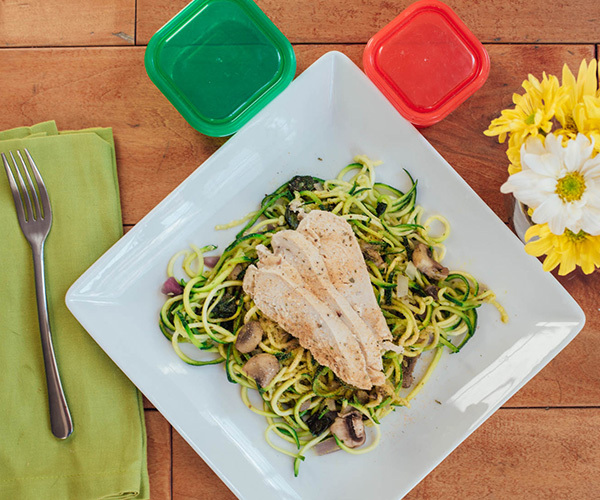 Have you tried zucchini noodles yet? Dude! They are all the rage with healthy eaters, and now I know why! They are super duper low in calories and carbs, and they make a great swap out for pasta. I’ve heard the term “zoodles,” for them before too..but zucchini noodles can be made with a vegetable peeler, a mandolin, or a Spiralizer (which was used for this recipe). The pasta-like texture is a perfect base for all types of sauces and toppings and they don’t get soggy like pasta does, so they work great when meal prepping too!! Cook them gently and they’ll stay ‘al dente’ til you’re good and ready to eat them. This recipe called to top them with pesto sauce (yayyyyy for pesto!) and sautéed mushrooms with garlic. Also, you know that it wouldn’t be the same without some chicken breasts on top! If you are a 21 Day Fix container “user”, this totally fits the count as 1 1/2 green, 1 red and 1 1/2 teaspoons. 2. Add onion; cook, stirring frequently, for 3 to 5 minutes, or until onion is translucent. 4. Add mushrooms and basil; cook, stirring frequently, for 3 to 5 minutes, or until mushrooms release liquid. Set aside. 5. Using a vegetable peeler, cut each zucchini into lengthwise strips about ⅛ inch thick. Turn zucchini slightly after cutting each strip to work evenly around the outside, stopping when you hit the seeds at the core. Discard cores. Cut slices lengthwise into ½- inch ribbons. Set aside. 6. Add zucchini to onion mixture; cook over medium-high heat, stirring frequently, for 2 to 4 minutes, or until heated through. 7. Add pesto; mix well. 8. Evenly divide zucchini mixture between two serving plates; evenly top with chicken. Who wants to eat now?? ?